Wow! What a stunning wedding photo! 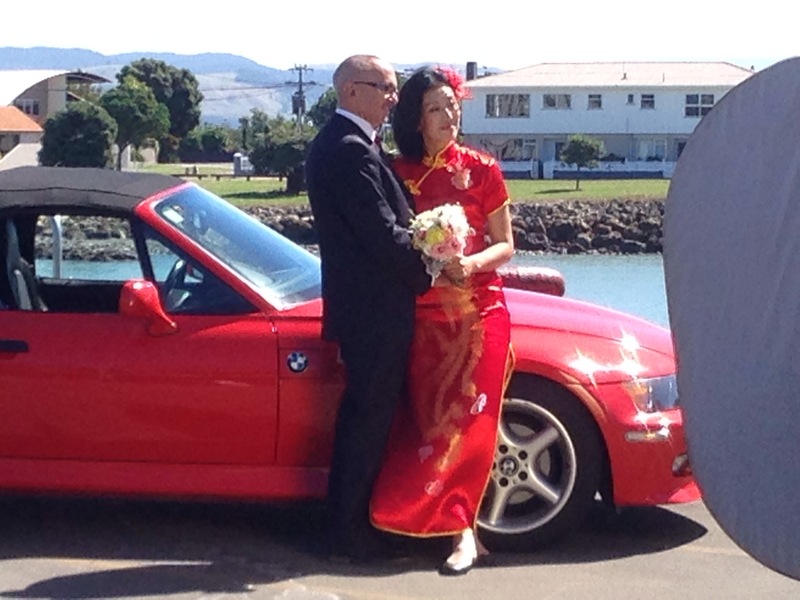 The BMW complements the Brides red dress. I stumbled across this photo opportunity of a photo shoot on my lunch break! Funnily enough the informal wedding reception was being held at the cafe I was going to! I think the Chinese red wedding dress is very beautiful – red is the traditional colour of good luck and auspiciousness. Today most eastern brides wear western white wedding dresses for the actual ceremony and change into the red dress for the tea ceremony afterwards. The bride is formally introduced to the groom’s family through the chinese wedding tea ceremony. It will usually take place on the wedding day when most of the family members are present.